One year of aid but little progress in Nepal. The urgent wake-up call that was the 2015 earthquake in Nepal goes unanswered by a government failing its people, write Asit K Biswas and Kris Hartley. The first anniversary of the 2015 Nepal earthquake last month has drawn considerable reflection, most of it discouraging. In the year that has passed there has been little progress in physical rebuilding, and none in improving a governance system that failed citizens before and after the disaster. More than one million people still lack access to clean drinking water, crowded shelters are suffering from outbreaks of infectious disease, and stress-related mental illness is on the rise. What is the reason behind Nepal’s lack of progress, and what should be done? Despite a year-long tide of recovery aid pouring in from the international community, Nepal recently celebrated its New Year under the crushing spectre of strife and deprivation, with residents enduring harsh winter conditions, which will imminently change to sweltering heat, torrential rains, and landslides. The Nepalese people, however, have faced recovery with courage and practicality, often rebuilding homes on their own using a creative assortment of materials including bamboo and salvaged wood. With much of Nepal’s male workforce having emigrated, the recovery burden is falling to women and children, who have exhibited admirable resilience and ingenuity. Nevertheless, the efforts of heroic individuals are not enough to overcome the massive challenges of earthquake recovery. A recent CBC News report offered a stinging indictment of the management effort: of US$4.4 billion pledged internationally, $2.8 billion has been received and of that, “very little” has been spent. The underlying problem is no mystery: a stale blancmange of lazy governance, weak political will, and poor accountability. If such an historic disaster failed to drive progress in fundamental areas, one must doubt whether there will ever be hope for Nepal. Aid appears to have been applied primarily, if prudently, to sustaining citizens’ basic livelihoods, already fragile even before the earthquake. Absent adequate government resources, significant amounts of on-the-ground assistance have come from NGOs, development agencies, and even charitable religious organisations such as Caritas and the Mennonite Central Committee Canada. The Red Cross provided shelter for130,000 families in the months following the earthquake, and plans to assist half a million more residents by 2017. In the immediate aftermath of the disaster, weak design and inadequate enforcement of building codes received copious attention from analysts and commentators; these failures helped create a built environment vulnerable to disaster. With a year now passed, it is prudent to examine deeper governance failures in preparedness and recovery. Sluggish mobilisation should be no shock to those knowledgeable in Nepalese politics; weak political will and poor accountability are rife. These pathologies compromise Nepal’s competitiveness and living standards across numerous measures, and have eroded disaster resilience. Such circumstances put aid organisations in a difficult position. On one hand, withholding support to make an ideological point does little to change minds in government, where entrenched interests drive policy regardless of citizen needs. Without aid, the Nepalese people pay for a lesson that leaders would not care to learn anyway. On the other hand, uninterrupted aid can perpetuate corruption and abuse that repels donors, particularly when non-government channels for aid delivery are under-developed. Indeed, many academic studies have found a connection between aid dependence and bad governance. In Nepal, persistent ethnic-based violence at the Indian border and related travel restrictions, along with the extended process of ratifying a constitution, are already significant distractions for a government with limited capacity. Further, tourism – a driving force of Nepal’s economy – is declining, with 900 heritage buildings damaged or destroyed by the earthquake. Tourist arrivals dropped by 90 per cent immediately following the disaster, and by 32 per cent in 2015 overall. The Nepalese government projects economic growth to be an anaemic 0.77 per cent in 2016, the lowest in 14 years. 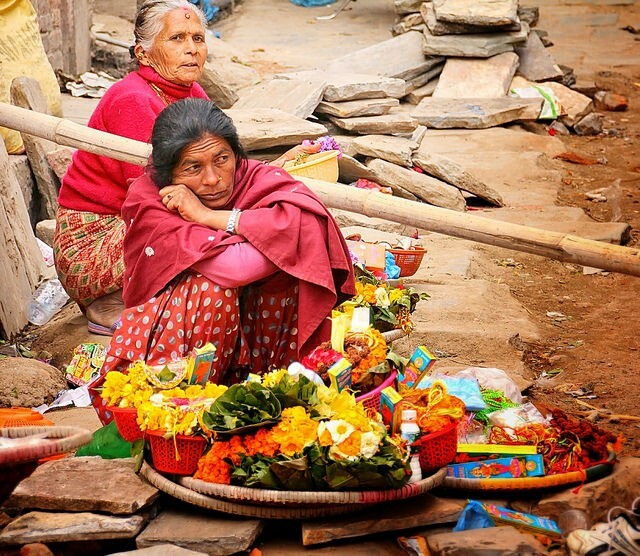 It is unlikely that the 2015 earthquake will be Nepal’s last. A British geophysicist stated in a recent International Business Times article that the region above the Himalayan thrust (which includes Nepal) will “have very much worse events in their – probably not too distant – future.” What can be done to prepare for these calamitous eventualities? Inadequate disaster preparedness is no isolated case of incompetence, nor is it the only factor exacerbating recovery efforts. It is one in a litany of governance failures: air transport hazards, dilapidated infrastructure, electricity interruptions, poor education, declining public health, increasing crime, and a widening wealth gap. While genuine self-reflection and moral reckoning by Nepal’s leaders would be a good prompt for reform, sudden enlightenment is unlikely. Therefore, the international community – politicians, aid organisations, scholars, and thought leaders – must apply consistent pressure on Nepal’s government to shun political in-fighting and genuinely commit to comprehensive development. Resilience is not about one piece of infrastructure or one sweeping policy reform; as in nature, resilience is a product of deeply interconnected systems that function purposefully and reliably. Progress on the above litany of challenges would enhance Nepal’s resilience to natural disasters. It is also the humanitarian thing to do. From daily inconveniences to near-complete reliance on external aid for disaster recovery, the people of Nepal are tragically underserved by their government. Arguably, the country does not have much further to fall before it earns the label “failed state.” The 2015 earthquake was supposed to be a wake-up call, but while the rest of the world hears the ring, Nepal’s leaders remain asleep. Asit K Biswas is the Distinguished Visiting Professor, Lee Kuan Yew School of Public Policy, National University of Singapore, Singapore. Kris Hartley is a Visiting Lecturer at Vietnam National University (HCMC), and a PhD Candidate at the Lee Kuan Yew School of Public Policy (NUS).